Thankfully, our orphanage is located a few hours from Port Au Prince. However, we already have been affected by political riots of a different nature in our area earlier this year. During those riots, we had trouble obtaining critical supplies, and electrical power was cut off to our orphanage – making it difficult for us to pump water from our well. This is bad for our children and staff as well as for our crops, which rely on irrigation from the well. For this reason, a top priority in our efforts to become self-sustaining is to purchase a solar system that will make us independent of the government’s electrical grid. 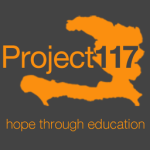 Please pray for Haiti and for our ongoing efforts to keep our children and staff secure and healthy.